Here you can see the ‘before’ and ‘after’ colors of the male. 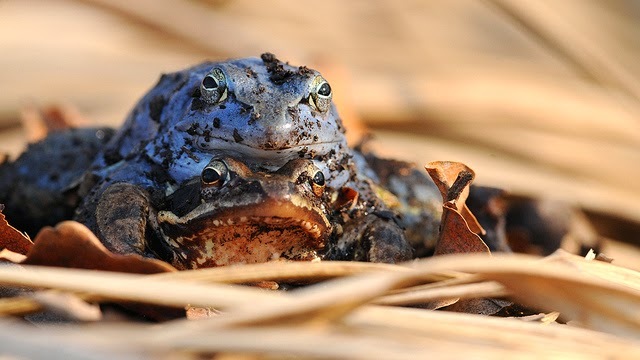 The winter hibernation over, the adult frogs emerge and their thoughts naturally turn to the propagation of the species. 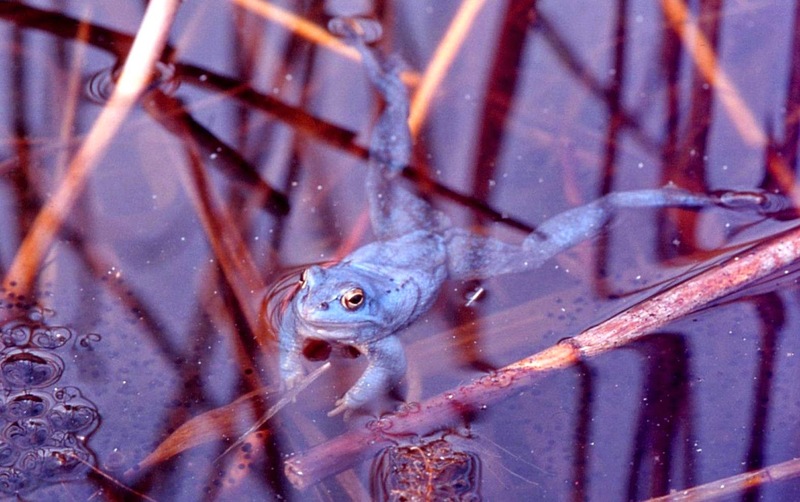 They take to the ponds of the lowlands of Central and Southern Europe and their calls resonate. 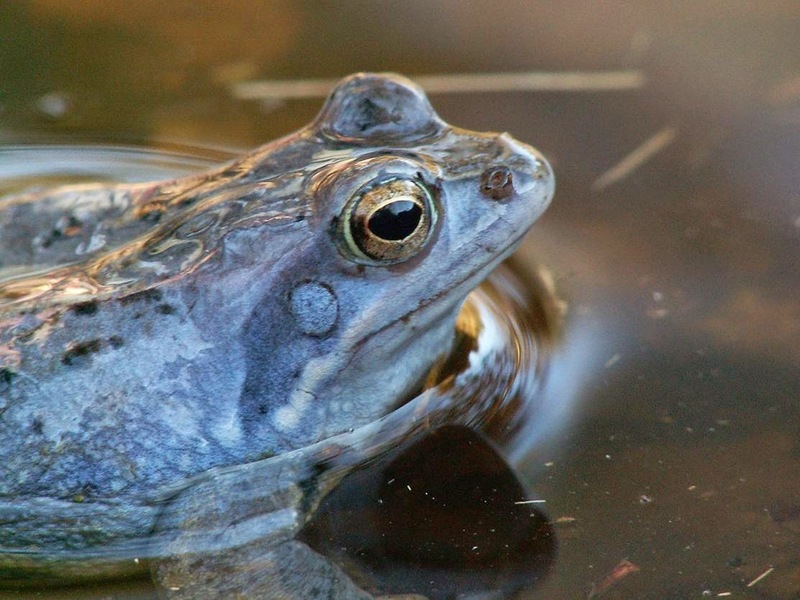 It is said that the call of the moor frog sounds like the noise you get when you hold a bottle under water and let the air escape – waug waug waug. 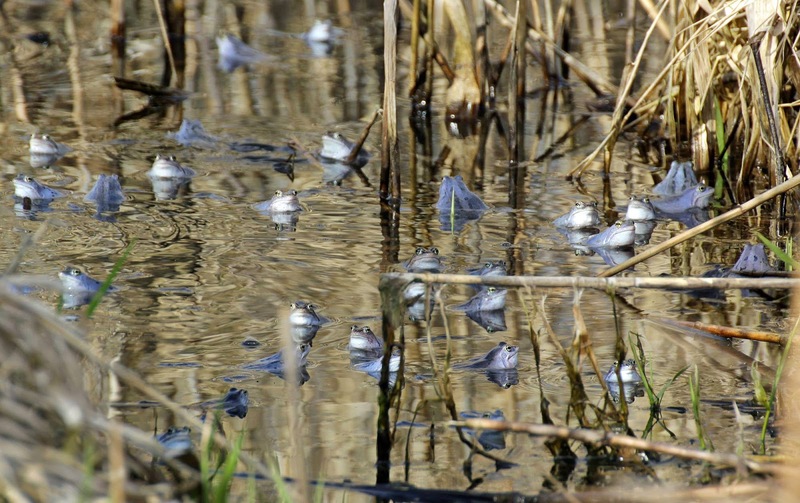 The numbers can be staggering with hundreds or even thousands taking to a single large pond. 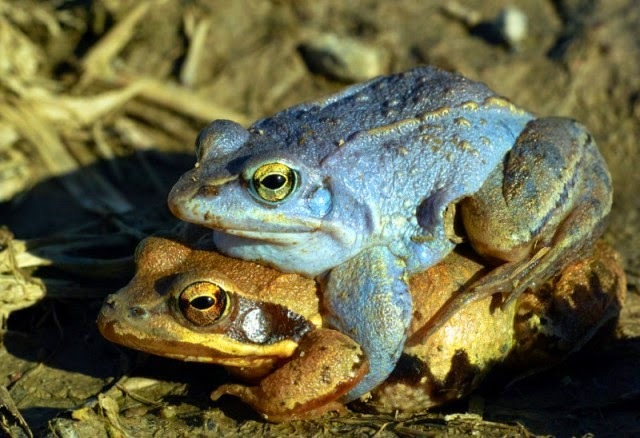 This melee of frisky amphibians and the lack of dimorphism between the genders means that it is difficult to tell who is who. 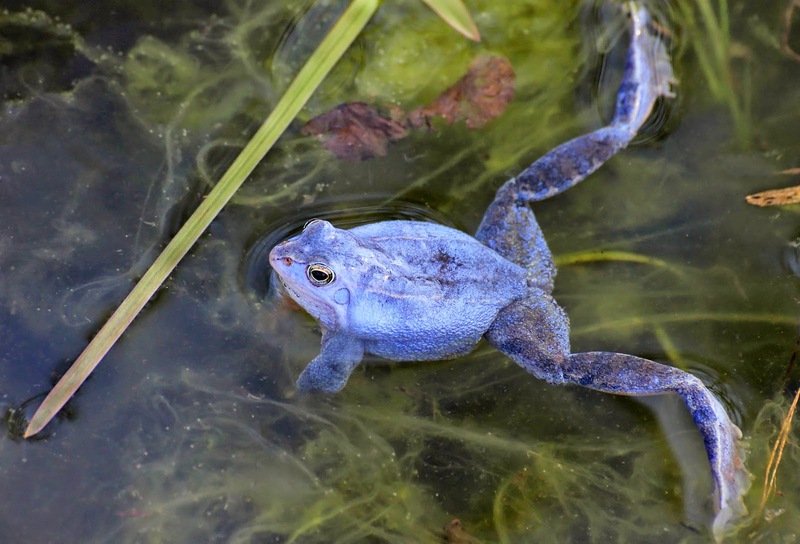 As ever nature comes up with an answer – and for a week or so a change takes place that allows as few mistakes as possible to be made and for spawning to be successful. In south-western Poland there are an enormous group of ponds in the Barycz River Valley known as the Milicz ponds. 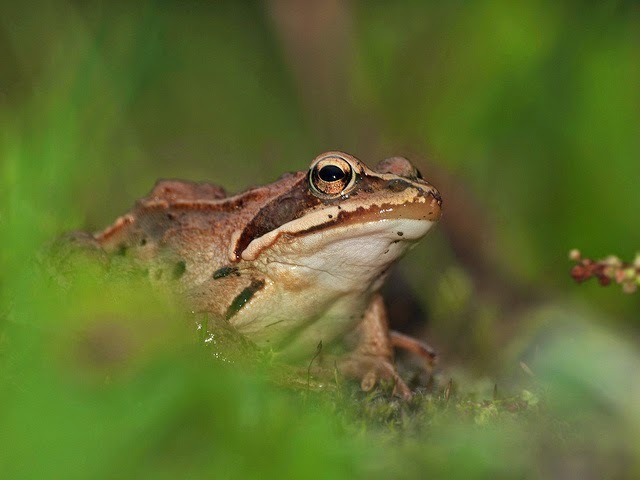 This is where the Moor Frog (Rana arvalis) can be found in great numbers and each year the ponds resound with the mating call of the male. You might think that with the sexes being different colors that it would be difficult to make a mistake. However, they don’t always get it right as you can see in the video above! 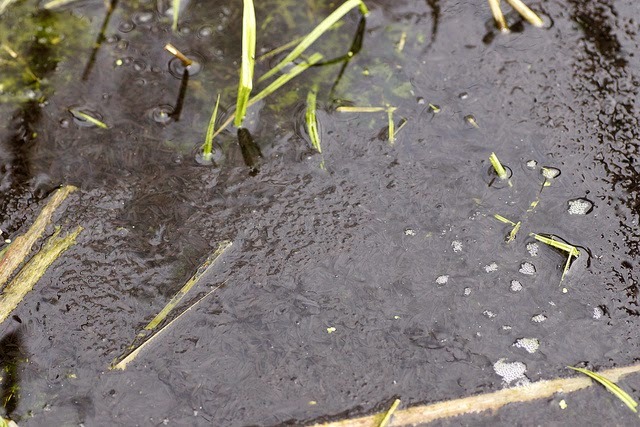 The frogspawn can be so thick that it looks like the waters of the ponds have become mud. Spawning is over in between three and 28 days and then the males will return to their usual dull brown color. 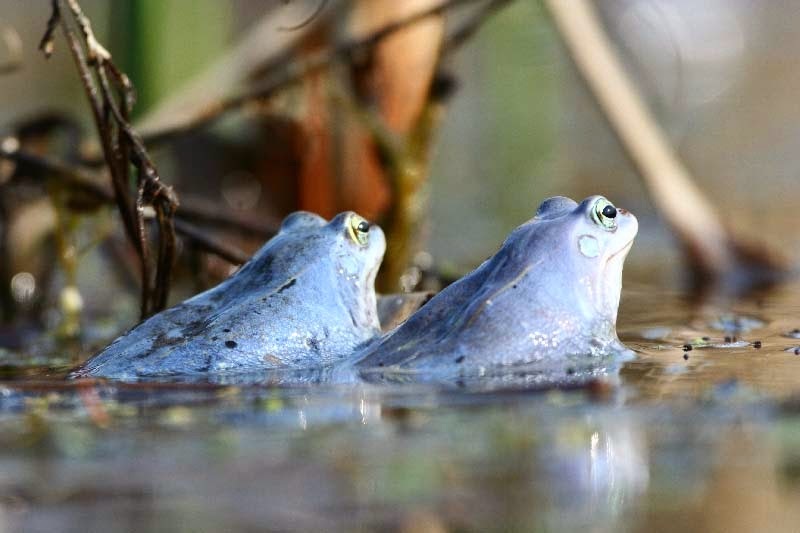 Each female frog will lay either one or two clusters, each containing up to 3,000 eggs. 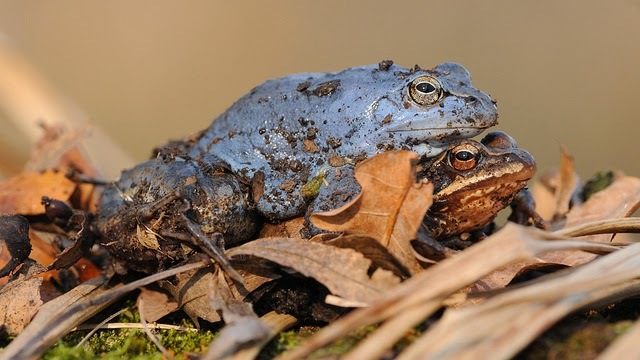 The moor frog is considered to be a ‘safe’ species in as much as it does seem to be able to adapt to urbanization despite preferring habitats untouched by humans.